Does Adidas make technical Santa suits? There was a write-up in Sunday's paper about the Ho Ho Ho Holiday 5k that I plan to run this weekend. 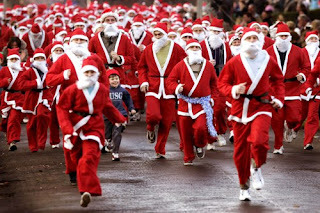 The piece mentioned that many participants dress up in Santa suits for the race. Sounds like fun. 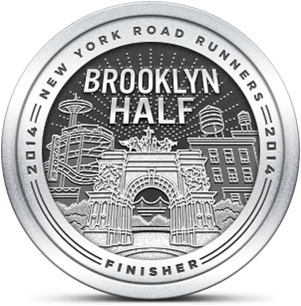 Perhaps I'll gain competitive advantage by not wearing a bulky suit and a floppy hat as I run. 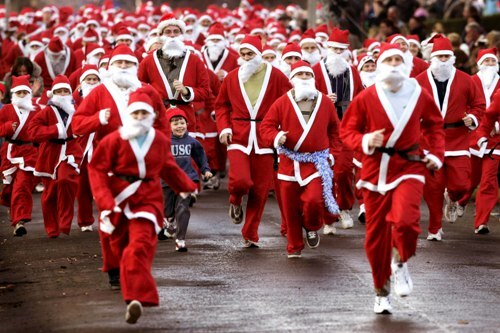 My brother and I have discussed participating in the Santa Speedo Run that takes place in Boston every year. It's just what you might think it is. But Speedos are a little too extreme for me, although they'd be far more aerodynamic than a Santa suit. I'll stick to my less festive but more practical running gear on Saturday. If I wear blue and white, would I get partial credit for running in Chanukah colors?